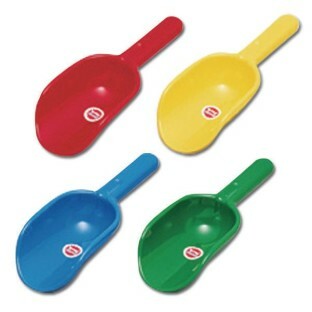 Measures 8-1/4"L; Scoops measure 4-3/4"
Perfectly sized for preschoolers. Gives them a sizable scoop of sand every time! Great addition to current sand toys.